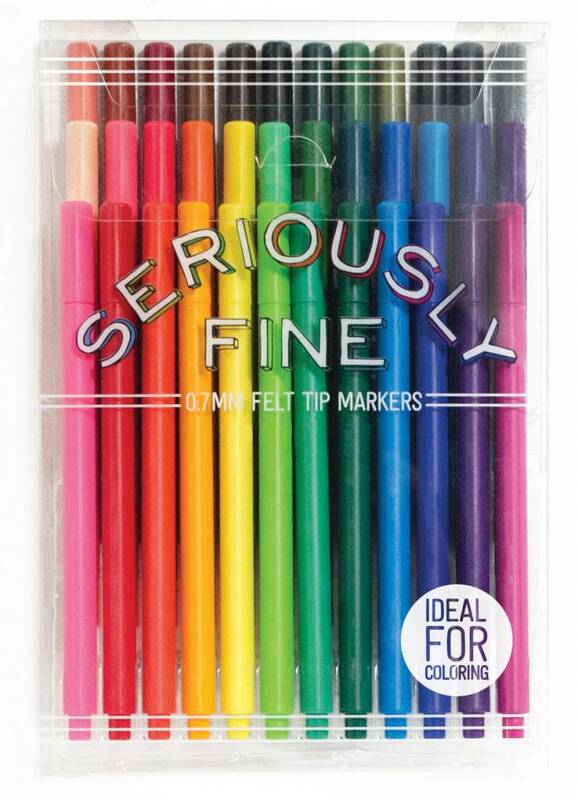 For those who take their coloring seriously, the Seriously Fine Marker set is the perfect choice for your coloring needs. Designed for adult coloring enthusiasts in mind, this set of felt tip markers features a super fine tip at just 0.7mm. These markers are perfect for bringing stunning color to ultra detailed coloring books. 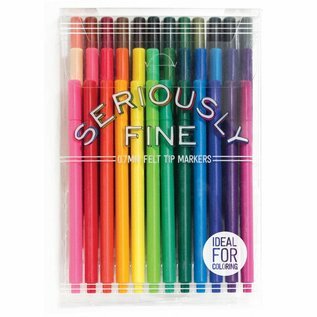 Seriously Fine Markers have a wide variety of colors; 36 colors in a set. The barrels are triangular shaped so they’re a great ergonomic fit and won’t roll off your coloring book or tabletop.